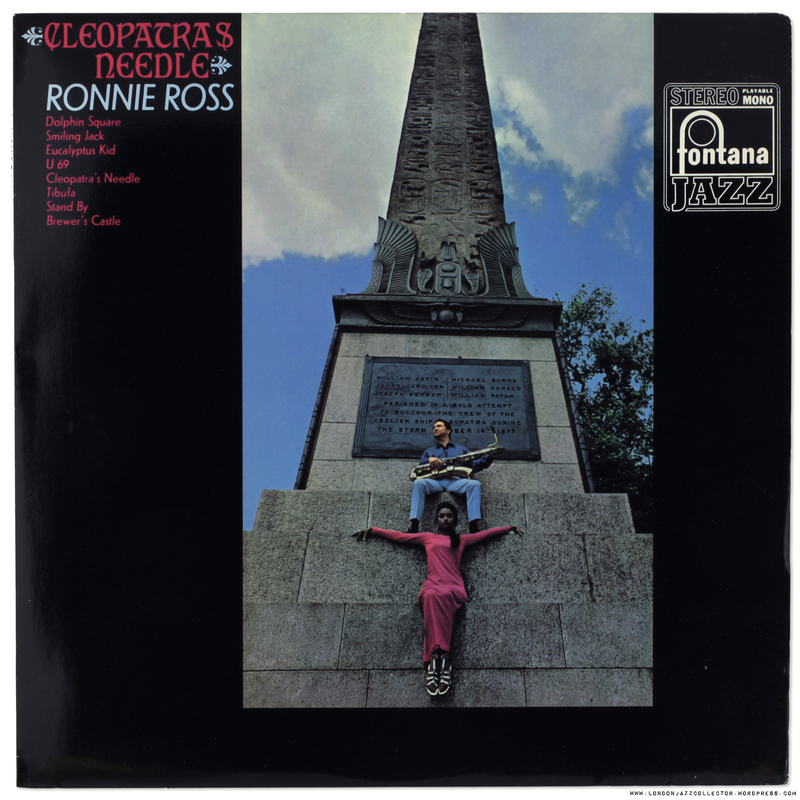 Prior to the Cleopatra’s Needle recording, Ross’s earliest recorded work set off in 1955, with Brit-jazz leaders Tony Crombie, Don Rendell, Tony Kinsey, and singer Cleo Lane. He made it to the Newport Jazz Festival 1958 line up of Louis Armstrong and the All Stars, where he caught the ear of Atlantic boss Nesuhi Ertegan, who brought them into a New York studio to record The Swinging Sounds of The Jazz Makers, Atlantic 1333. (‘The Jazz Makers‘ UK release Ember Records). Ronnie Ross went on to receive a Downbeat magazine New Star award, but with very little follow through. In the early ’60s he travelled Europe, featured in the Munich-based Hans Koller group, (like Sahib Shihab in Cologne-based Gigi Campi/ Clarke-Boland Big Band) and the Austrian jazz orchestra of Freidreich Gulda, touring with various others. It was not until 1968 he finally got his own first and last UK album as leader, Cleopatra’s Needle, with Philips Fontana (home to many great British jazz rarities). Over the following three decades Ross returned to relative obscurity in British jazz orchestras under various leaders, some of who are probably even more obscure today. Who can forget Chris Smith And His String Of Pearls Orchestra? Seconds ago, I forgot it already. Ross’s last recorded session appears in 1990, and his final curtain fell the following year in London, at the early age of 58. RS: Your first instrument was the saxophone. Why the sax? DB: My brother was a huge jazz fan. He played me way-out stuff like Eric Dolphy and Coltrane. I wanted a baritone, but I got an alto sax. RS: Did you take lessons? “This album chalks up a number of what the more journalistically inclined like to call ‘firsts’. To begin with, it’s the first time a valuable jazz musician has been required to risk life, limb and instrument by climbing half way up an ancient Egyptian monument (and that was just for the sleeve). Next, it includes possibly the only tune ever dedicated to a microphone – Les Condon’s U69; shame on you if you thought different. 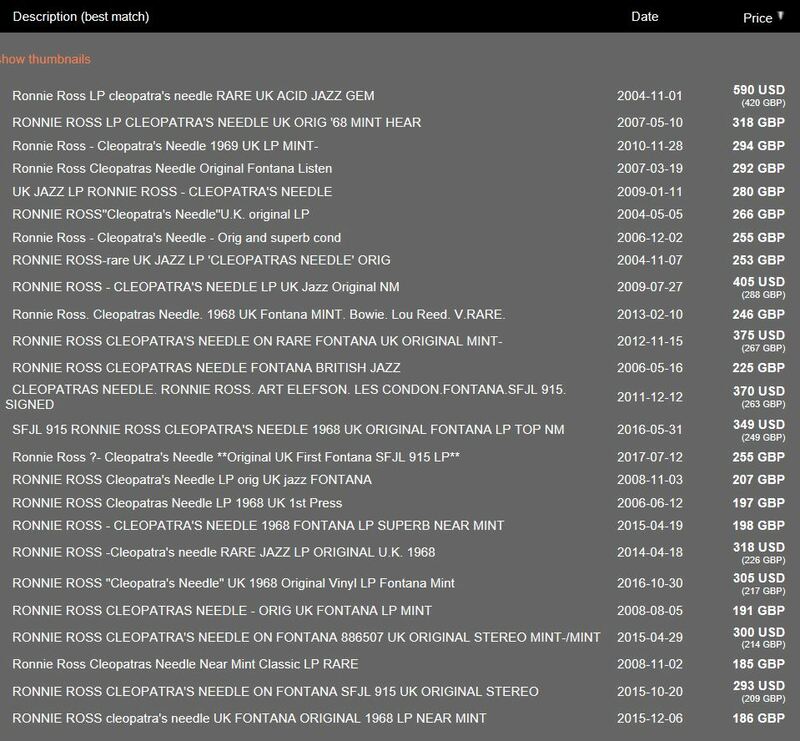 Finally, and most amazing of all, although he’s shared the billing often enough, it seems that Ronnie Ross is appearing on L.P. as sole leader for the first time. It’s not exactly premature. For those who get excited at the drop of a ballot form, he’s been figuring in British jazz polls since before the baritone saxophone stopped being a miscellaneous instrument (in some hands it’s still pretty miscellaneous even now). He first made a name for himself in local jazz circles as a sort of ‘discovery’ of Don Rendell, who used him on tenor apparently – the switch to baritone came shortly after – in a sextet he formed in 1954. Subsequent associations were with Allan Ganley, Ken Moule, and Tony Kinsey. It was while he was with Tony Kinsey, in fact, that he formed long and congenial partnership with pianist Bill le Sage. It began in the mid-fifties in a Kinsey group that went to Cyprus to entertain the forces, and it continues to this day. He’s played in America a number of times; the first was in 1958, when he was a member of the International Band that went to Newport, and the second time was in the next year with Allan Ganley’s Jazzmakers. Another occasion was in 1963 when he, Ronnie Scott and Jimmy Deuchar did a season at the Half Note in New York, after which Ronnie Scott made minor history by having a little grumble about an American rhythm section. Soon – I write in mid-1968 – Ronnie Ross will be heard in a BBC television production of Gunther Schuller’s opera ‘The Visitation’, in which a jazz group joins forces with the BBC Symphony Orchestra to play the rather complex 12-tone score. (‘We all stick to the tone-row fairly well’, says Ronnie, ‘though a few hot licks manage to get in here and there’). On this record he’s with a conventional jazz line-up of his own choosing. Two sessions were involved: one with a sextet consisting of himself, Les Condon on trumpet, Art Elefsen on tenor, Bill le Sage on piano and vibes, Spike Heatley on bass, and Ronnie Stephenson on drums. The other was by a quintet with the same personnel minus Les Condon and with Tony Carr on drums instead of Ronnie Stephenson. The whole album marks something of a return to jazz for Ronnie Ross, because, like so many fine musicians of his generation, he finds there simply isn’t enough jazz work to keep body, soul and mortgage together. The bulk of his living, therefore comes from using his considerable technique on more or less commercial dates. The playback, in our submission, sounds more than ‘pretty good’. Ronnie, on baritone throughout, sounds confident and relaxed, and his roomy tone is well preserved by the recording. The hard, chisel-edge of Art’s tenor has seldom been heard better, either, while Les Condon’s fleet, darting attack will be a revelation to many listeners. Bill le Sage, on piano except for one track, seems to be in a more rumbustious mood than usual. The eight compositions are all originals. Ronnie Ross wrote three of them: DOLPHIN SQUARE, dedicated to a party at which Zoot Sims was present, once held in a flat there (‘It must have been a good one, because I don’t remember it’); CLEOPATRA’S NEEDLE, which he describes as ‘an old fashioned 20-bar blues’; and the quintet number SMILING JACK, which he reluctantly confessed is a nickname for Zoot Sims ? reluctantly, I suspect, because Zoot himself doesn’t like being called by it. Bill le Sage contributed two titles, STAND BY and BREWER’S CASTLE. TIBUFA, intricately derived by assembling syllables taken from certain parts of the human anatomy (jazz musicians’ handling of the language can be unbelievably obtuse) is by Art Elefsen. Spike Heatley wrote the very intriguing EUCALYPTUS KID, while LES CONDON provided U69. Fellow blogger Martin at Inta Somethin’ has a very full and well crafted review of his original copy of Cleopatra’s Needle (spit!) so I won’t spend time duplicating unnecessarily, other than to say “I agree with Martin“. This record, despite – in my case – it’s Japanese provenance, exudes the sound and smell of late ’60s London swinging Soho jazz scene: stale cigarette smoke, warm beer, Saturday-night special aftershave (in case you “get lucky”) and an endless train of people asking if anyone had change for a parking meter. Yet we thought we were having the time of our lives. Which looking back, we were. Cultural Notes: 1960s and Aftershave. Coming of age in the ’60s, and not shaving for very long, lads believed absolutely that the right aftershave was a pre-requisite of a successful relationship with the ladies. The adverts more or less told us so. I mean, would they lie to us? 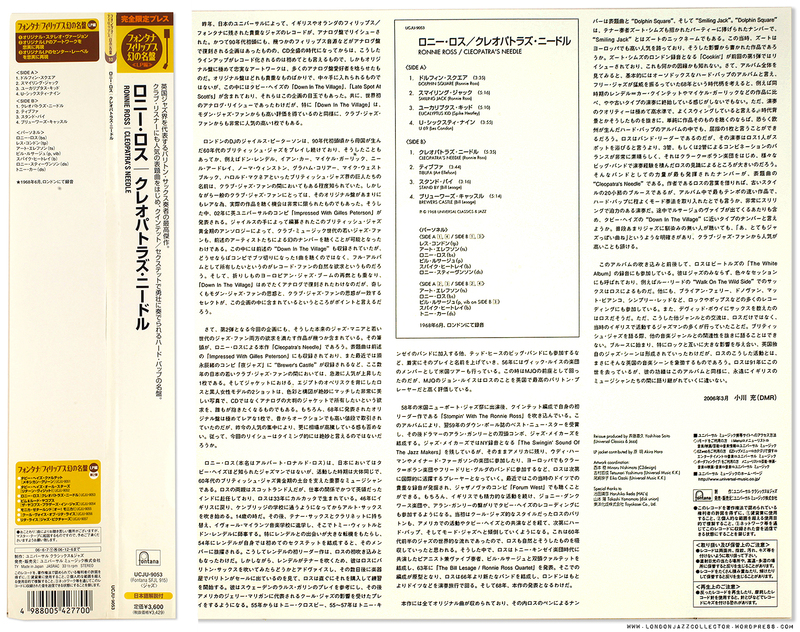 “Fontana Firippusu Maboroshi-no Meiban”, translates to English as “Fontana And Philips Phantom (or Illusory) Masterpieces”, brown on yellow logo, remastered, limited edition, stereo, 180 gram, released: June 07, 2006, pressed by Toyokasei. Reissue produced by Yoshihisa Saito (Universal Classics & Jazz). – Universal Music K.K. The UCJU 9000 series, issued by Universal Music Japan between 2004 and 2009, is home to a great many jazz reissues from the golden years, including several impossibly rare British jazz titles, meticulously copied as “replicas” of the originals. Expect more LJC reviews of individual titles and an overview of the series shortly. It’s all in the mission, the search for the good stuff. Excuse me, “Acid Jazz?” DJ dog-whistle, turn that baseball hat sideways! Not hugely expensive by British Jazz Holy Grail standard (£1,000+) , but still many multiples of the cost of the Japanese reissue. Based in some comparative listening I did last week with a fellow collector, an A:B of a Fontana original with its Japanese counterpart from this series, the original Fontana sounds stronger, a greater sense of presence, and freshness. Not that there is anything wrong with the Japanese issue, but it had me wondering about sources. As Universal Music Group holds the rights to Fontana recordings, there was no doubt little problem regarding licensing, but licensing is not the same as physical access to original tapes, and an effective analogue engineering process. There is meticulous attention to detail in creating “a replica” of artwork and labels, full credit for that, but I have a sense of unease, it is too simple to transfer a digital file onto vinyl, and so many industry people who are digital supremacists. It’s how they earn their living, unlike impecunious collectors like me who actually pay for the stuff, sit and listen to it. With Jazzman’s EMI Lansdowne collection, I sat down and compared my two original 60’s Lansdowne against their 2018 reissues, and they are near-indistinguishable, and that is on my hideously revealing vinyl system. 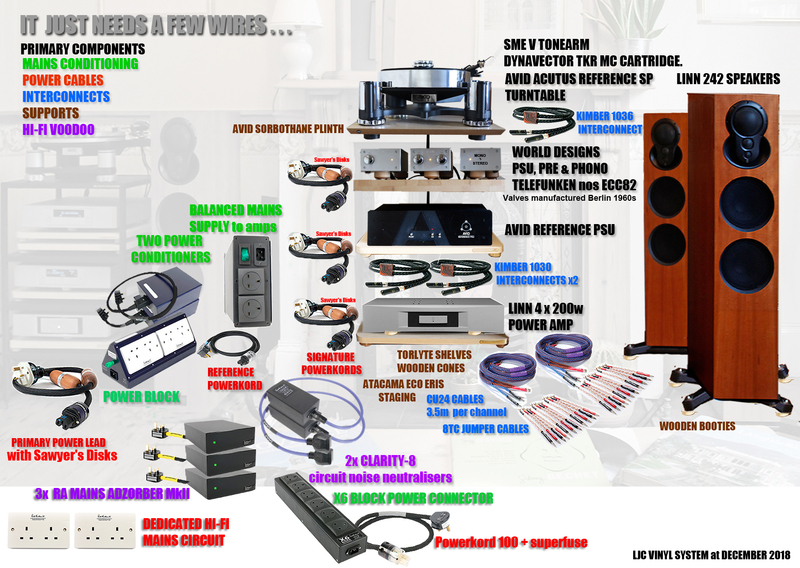 With the Universal Music replica’s, I hear a gap between the two, not huge, but a noticeably lighter impression, less compelling listening. Of course you are unlikely to own both, so not a problem then. So, if it is any consolation, Martin, congratulations, you are the winner. Postscript: London’s Cleopatra’s Needle is sited on London’s Victoria Embankment. Other Needles are found in New York and Paris. It was originally erected in the Egyptian city of Heliopolis around 1450 BC. In 1819, Muhammad Ali Pasha gave Britain the obelisk as a gift, however, Britain’s prime minister at the time hesitated on having it brought to the country due to shipping expenses, so it remained in Alexandria until 1877 when its was transported to London. If you can offer any insight into Ronnie Ross, Fontana, The Obelisk, or the fiendishly tricky Japanese translations (*Illusory Masterpieces”?) or anything else, the floor is yours. This entry was posted in Jazz by LondonJazzCollector. Bookmark the permalink. When I wrote my posting about Cleopatra’s Needle, I had to speculate about the sound quality of the Japanese re-issue, so between us we’re now able to give discerning listeners the full picture. As an aside, our listening paths seem to have overlapped a lot recently: Rendell Carr box set, Curtis Amy’s Katanga and Clifford Jordan’s Glass Bead Games. I’m currently in the process of reviewing Superfly’s re-issue of the latter for Long Live Vinyl magazine. Just to let you know, the new Jazz Journal website has just reprinted (28 January), as part of their ‘from the archives’, their original review of Cleopatra’s Needle written by Mark Gardner which was first published in January 1969. Nice one; I have the Atlantic LP as well. You know, I’m surprised those Zoot Sims Fontanas haven’t been reissued or collected in some form. They’re really nice. There’s also a World Record Club LP with Al Cohn that really gets down to business as well. On the subject of Fontana,I bought an excellent record last week.The condition is just about acceptable as its been knocked about a bit and theres some surface noise – still the quality of the Fontana pressing and recording shines through. Strange title – “The Night is Scott and your so Swingable” – by Ronnie Scott. Really impressed with his playing! I underrated him and viewed him just as catalyst and proprietor of our most important jazz club and raconteur and wit e.g. addressed to a heckler “When I want your opinion sir, Ill give it to you”! Yes indeed, Ronnie Scott was a very able tenor player. It is always interesting to pick him out from Tubby when listening to The Jazz Couriers late 50s. Ronnie has more melodic swing, in the mould of Stan Getz I think, but then Tubby opens up, blistering speed and attack, triple summersaults and backflips, wham, you know which is which. You can hear Scott better in the Kenny Clarke-Francy Boland Big Band line up, no longer in the shadow of Tubby. 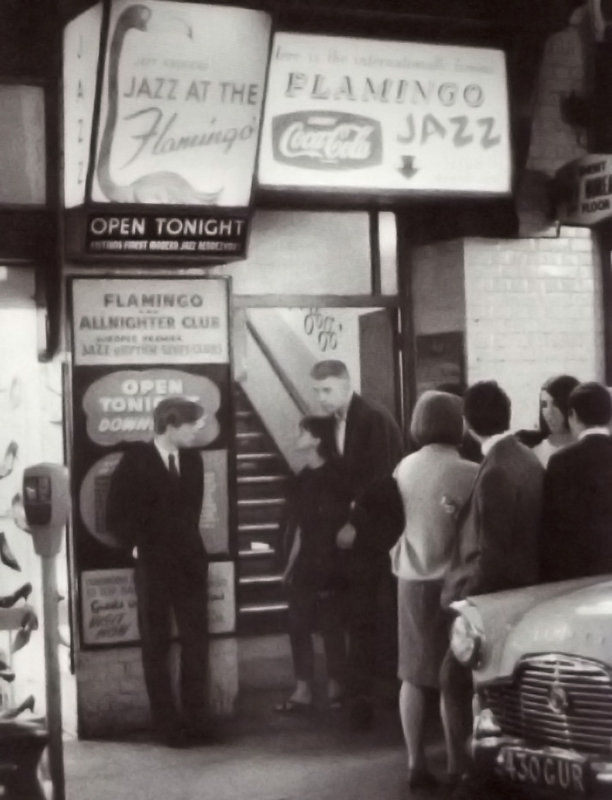 In passing, The Ronnie Scotts Club nowadays is run by Sally Greene, wife of the property magnate Robert Bourne, famous for rescuing The Old Vic from becoming a lap-dancing club. Each to his own. Agree completely.I have the MFP Jazz Couriers Live in Concert and a reissue of the otherwise very rare Jazz Couriers studio album. Understandably, he gets overshadowed by Hayes, as most do and that includes many US artists. He plays quite a few quotes from Charlie Parker (via Grieg!) and sounds very like Getz on this “Swingable” Fontana record – its highly recommended. Also recommended is Fontana “Presenting the Ronnie Scott Sextet” but its not as good as “Swingable”………..I need an excellent condition copy now! Thats a great thing about these old records – you can take a flyer for a couple of quid,they look awful, but they usually clean up ok and occasionally, you stumble across something special ! Ross appears to excellent effect on Bill Le Sages Directions in Jazz Unit album (on Philips BL 7625 recorded in London 1964) both as composer and musician. 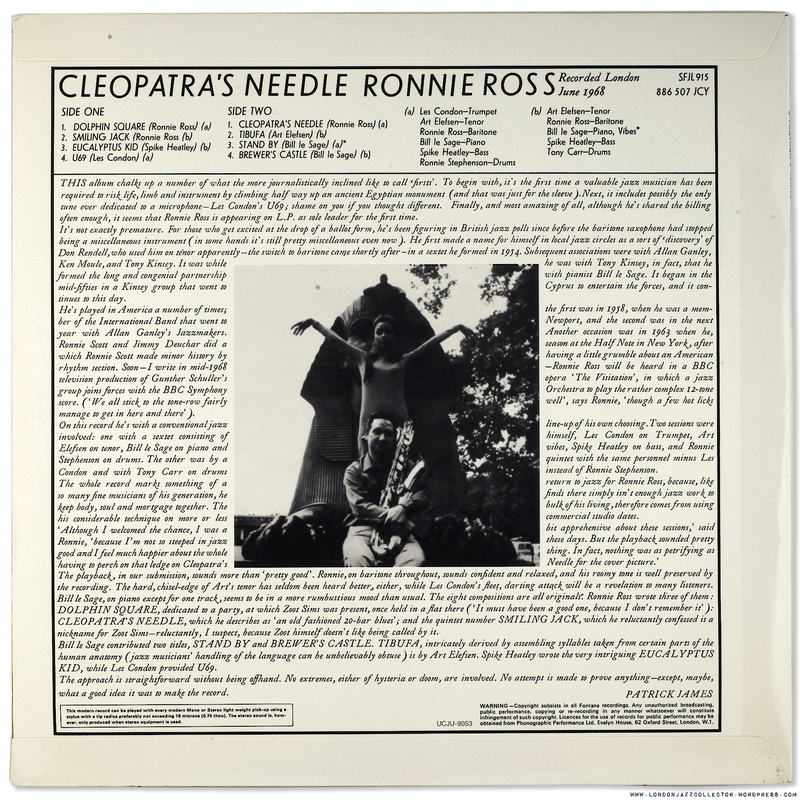 Great player – Ive never seen a copy of the Cleopatras Needle album! Just to say how much I enjoy your blog or whatever the musical equivalent is and to wish you a happy new year and well over the coming fast in April unless good sense intervenes. November’s Jazz Journal had a great article on Ronnie Ross, truly one of U.K.’s finest musicians – I was lucky to see him from the 1950’s until I left London in 1971. 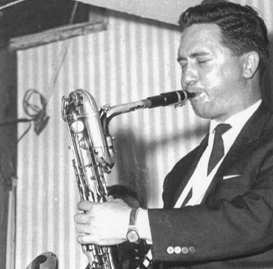 In particular, I saw him with the Woody Herman Anglo-American Herd, then with the Jazz Makers in 1959, at the Flamingo Club and at numerous BBC Jazz Club recordings. I think Spike is still with us – Art Ellefson unfortunately passed away last year.